Grootte van hierdie voorskou: 800 × 600 piksels. Ander resolusies: 320 × 240 piksels | 640 × 480 piksels | 1 024 × 768 piksels | 1 280 × 960 piksels. 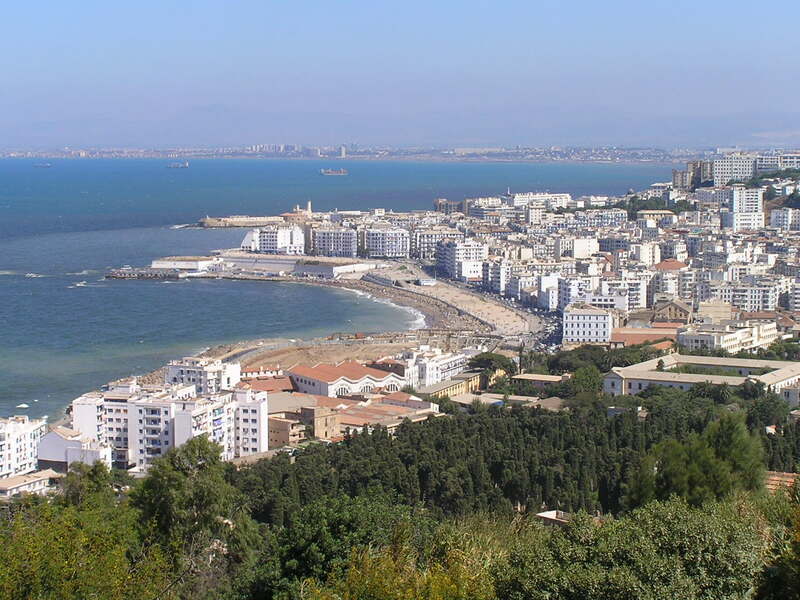 English: The coast of Algiers (Algeria), as seen from the basilica of Our Lady of Africa. Français : La côte d'Alger (Algérie), vue depuis la basilique Notre-Dame d'Afrique. This image, originally posted to Flickr, was reviewed on 17 October 2006 by the administrator or reviewer Nilfanion, who confirmed that it was available on Flickr under the stated license on that date.